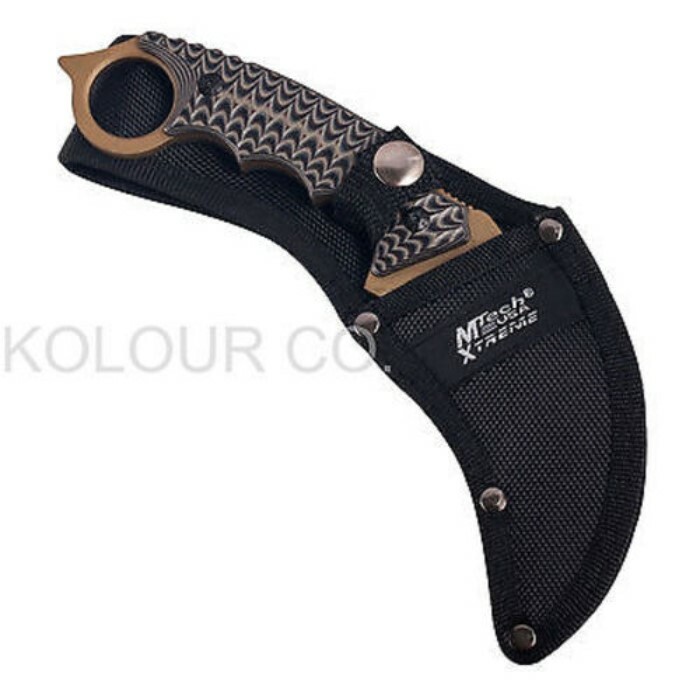 MTech Xtreme Karambit Style Knife With Sheath | BUDK.com - Knives & Swords At The Lowest Prices! 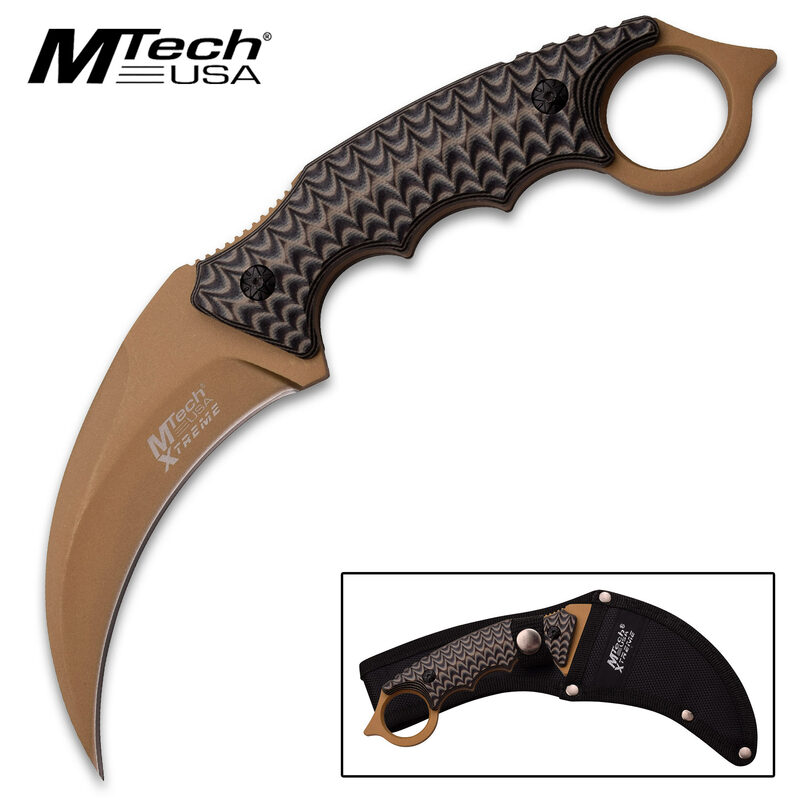 MTech has added a new twist to its Xtreme line with this Karambit-style fixed blade knife! 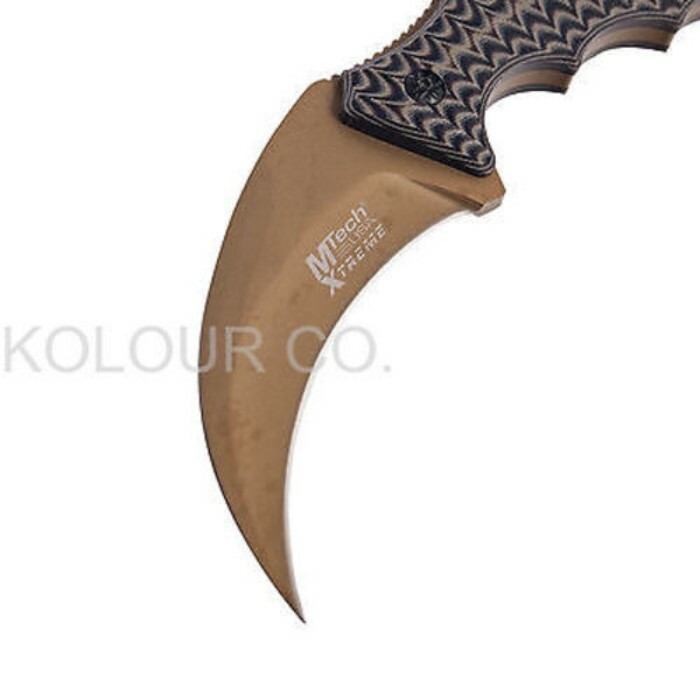 It has a black and brown Karambit-style G-10 handle that gives is the unique look. 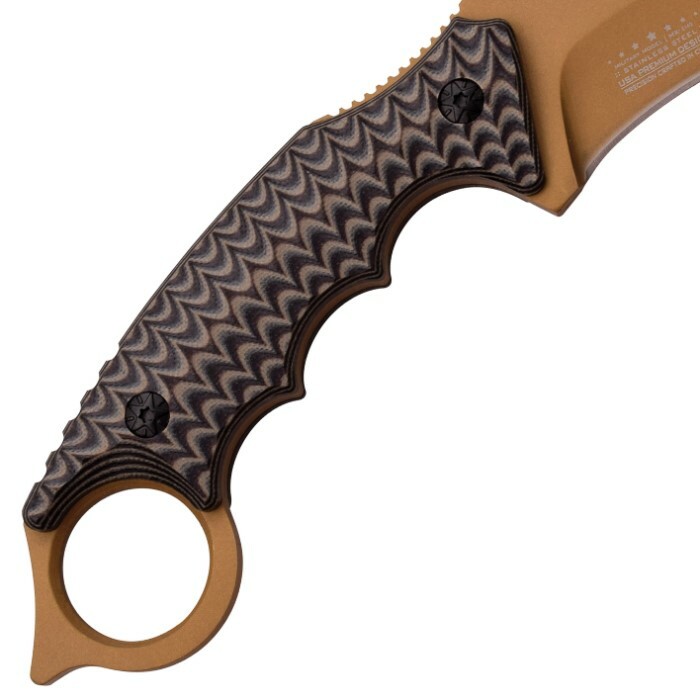 The 4” stainless steel blade has a matte green titanium coat. 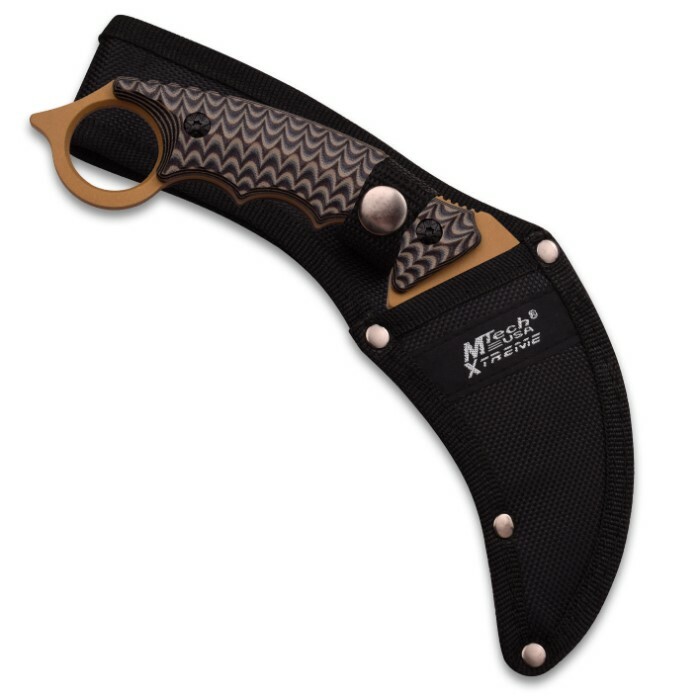 A 1680D nylon sheath is included to store and carry this incredible knife in. It is 9 1/4” in overall length. I love this knife! If you want a knife for slashing and stabbing it is amazing. It's not a tool you would use around a camp site or anything like that. The point that came on it was razor sharp, and the point like a needle! Wish the sheath was better though. Handles are awesome, they look and feel great. is very well made and is supper sharp. overall this is a very good knife, but the sheath could be made from a better material.